I wanted to try out some traditional ingredients in this bento, and I bought a few ingredients in San Francisco Japantown to use. Inarizushi is stuffed sushi. 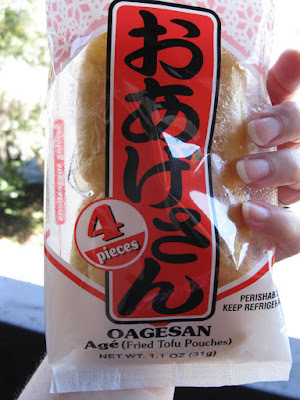 It is usually just rice inside of a fried tofu pouch. I added some fillings inside it, and topped it with umeboshi (pickled plum). Also in this bento: sauteed broccoli (leftovers from a dim sum feast), slices of cucumber from Ridgeview Farms, inarizushi stuffed with bbq pork and topped with umeboshi, cherry tomatoes from the Santa Rosa Original Certified Farmers Market, purple and orange sweet potato flowers, a hard boiled quail egg with nori face, and a mango rice cake. 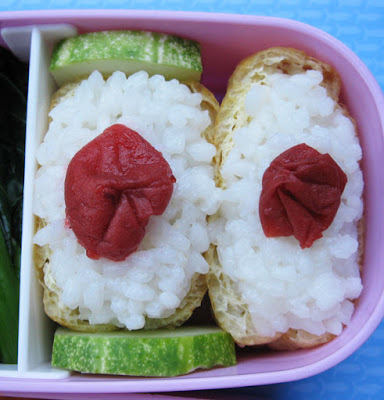 It was pretty easy to make these inarizushi. Token from Bento Lunch Blog did a great blog post about how to make your own fried tofu pouches, but I left it to the professionals. 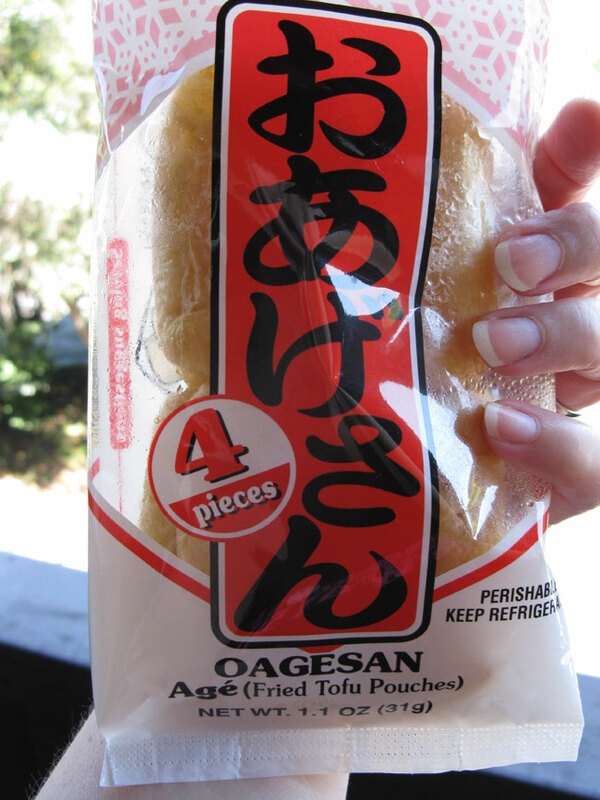 These are the fried tofu pouches I picked up at Nijiya Market in SF Japantown. 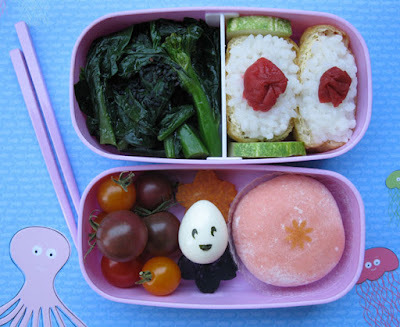 Very nice job on your traditional bento! I love the look of it! 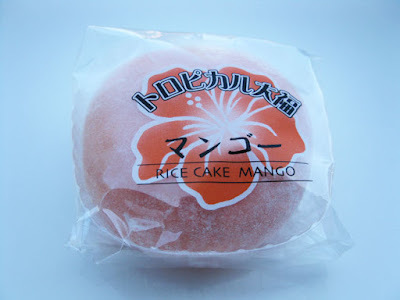 The mango rice cake looks pretty in there! 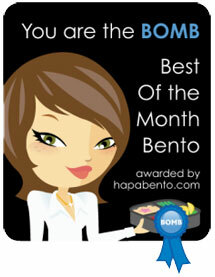 Debra had some inarizushi in her bento today too! 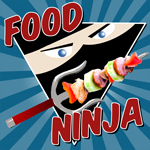 I have to check it out! Love finding new things! Thanks! Thanks Lyndsey! It's fun to try new things. The umeboshi are powerfully salty, but I think they will grow on me. I saw Debra's inarizushi today too! I love the takuan flowers she put inside them.